That beard — it’s the first thing you might notice about Jonathan Shue. Dark and unruly, it descends down his chest like a wooly waterfall, almost obscuring the Cabot Guns logo on his competition jersey. Shue started the beard the day he left the Marine Corps. After more than a decade in the military, he took one look in the mirror and decided he was done with daily shaving. But don’t let the shaggy appearance fool you — Jonathan Shue is razor-focused and not a bit fuzzy about his pursuit of shooting excellence. Shue’s drive and discipline rocketed him to the top of the Bullseye world in becoming the 2017 AND 2018 National Pistol Champion with Team Cabot Guns. 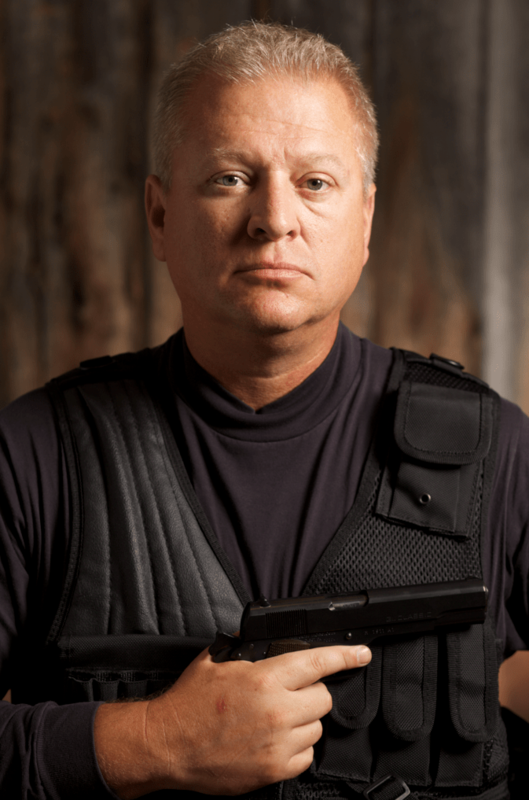 Just like the Cabot 1911s he shoots, Jon Shue is fanatical about precision performance. Military training developed Shue’s raw skills and mental discipline, and he soon became a marksmanship coach for the Marines. This demanding role required Shue to qualify as an expert sharpshooter himself and demonstrate a thorough knowledge of firearms handling, safety, and range management. More importantly, being an instructor taught Shue to pinpoint and correct the mistakes that could cost a soldier dearly on the battlefield, knowledge that he used to improve his own proficiency as a marksman. Returning from a deployment, Shue had the opportunity to qualify for the Marine Corps Shooting Team. It was his first taste of competitive shooting, and he was hooked. He moved from Okinawa to Quantico with a new mission: “Now your job is to ‘learn the gun’,” he said. “For the next five years, my job was to get up and be the best at this one thing, all day long, week after week.” That discipline, honed through years of day-in, day-out consistency and training, served Shue well. Before long, he had won just about every Marine Corps shooting prize there was, and after he left the military, he kept competing – and winning. Shue’s performance caught the attention of Team Cabot not long afterward, and he was introduced to the company by Cabot shooter Willliam Bethards at Shot Show in 2015. Shue says he was immediately impressed with Cabot’s family-oriented culture and, of course, the quality of their firearms. With the whirlwind of winning the back-to-back NRA Nationals behind him, Shue is back home in North Carolina, doing what got him to the top: train, train, and train some more. The next competition is always around the corner, and the thrill of victory comes only for those willing to put in the mental preparation and grueling practice that takes place away from the spotlight. William Bethards has been World Class Shooter for over 25 years. His specialty disciplines are Conventional and International Rifle and Pistol Competition Shooting. William Bethards is a Retired Marine Master Sergeant and Former Virginia State Trooper. He is currently a FBI Law Enforcement Specialist. Actively Instructing new FBI Trainees and current FBI agents in Marksmanship Fundamental, and Tactics and Staff member at Ballistic Research Facility. This World Class Shooter has now turned his attention back to the competitive shooting world. He has starred in History Channel’s Hit Reality TV Show, Top Shot Season 4. 8. 6 Time Presidents 100 recipient. (National Championships). 12. NRA 2650+ Aggregate Club Shooter Conventional Bull’s-eye Shooter. 13. Conventional & Internationally known Shooter. 17. United States Olympic Team Qualifier. (1995) Olympic Tryouts Tampa FA. Otto Carter is the master engraver who created the unique artwork featured on three of our pistols: Pandemonium, The Legend of Sacromonte and The Sixth Commandment. They all received extensive praise from connoisseurs of firearms as well as admirers of the engraver’s craft. We thought it would be interesting to learn how Otto came to be such a top-flight artisan. With an art degree in hand from Abilene Christian University, Otto started his career as an apprentice sign painter. Painting signs was a practical way to hone his manual skills and develop skills in graphic design. Importantly, it introduced him to drawing scrolls, an integral design element for an engraver. His early attempt at metal engraving was learning experience. Interested in the art engraving, he ordered an instructional VHS tape on basic engraving and a set of inexpensive tools. Frustrated by his first attempts, he put the tools away and resolved not to try again until after he had studied with someone experienced. “You have to learn this the right way or you won’t ever be any good at it,” Otto said. 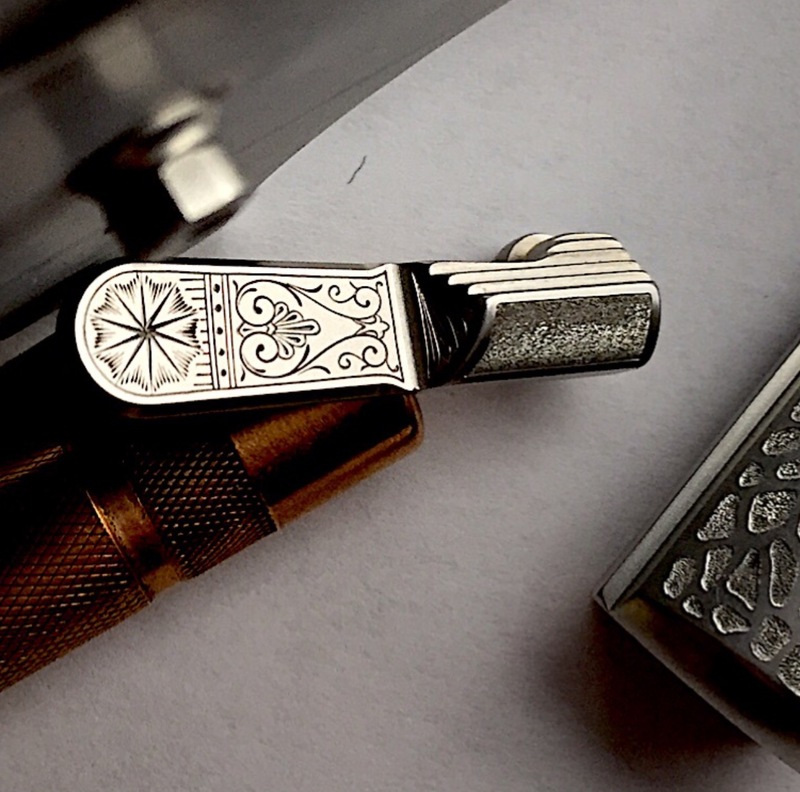 He eventually took a week-long course on engraving that set him up with good basic skills, such as chisel sharpening and cutting techniques. From there, Otto recounted his interest in metal engraving as an experience of ever-increasing engrossment. “I ruined a few good guns,” he said with a chuckle. “But I was on my way.” He devoted himself to becoming an expert on scrollwork, which Otto described as absolutely essential. Once you master standard scrolls, he said, you can branch out with a variety of styles and themes. Friends started to ask him to embellish motorcycle parts and engrave guns. After a lot of diligent work, his work caught on and he became marketable as a paid artisan. His work on a motorcycle fuel tank was so elaborate and impressive that his work quickly became prized by motorcycle enthusiasts world-wide. He learned to emulate the Victorian Aesthetic Movement style he had long admired. 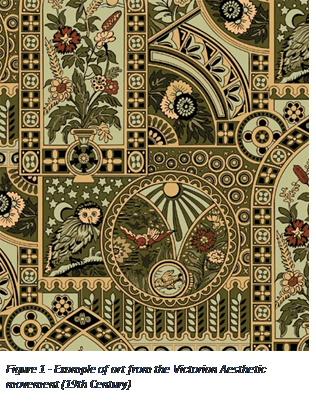 The Aesthetic Movement, which was hugely popular in the mid-19th Century, emphasized motifs of a variety of cultures included into a single design. The style is strongly represented in both the Pandemonium and The Legend of Sacromonte guns. Looking at the engraved surfaces of the guns, it’s natural to wonder how Otto is able to realize such finely-detailed designs. One factor is his use of a stereo microscope while making his marks on the metal. This is a technique and toolset similar to that used by ophthalmic surgeons removing cataracts or brain surgeons sewing together blood vessels. The work looks much larger than it actually is, enabling Otto to make tiny movements with his engraving tools to create intricate designs. “I think like a painter but work like a surgeon,” Otto said. Otto does not use computer-aided engraving technologies. In a technique he described as “painting meets carving,” he creates designs in metal with (harder) metal tools. He does take advantage of digital technology, however. His typical process involves creating a master version of the design on paper, usually in a larger size than it will be on the gun itself. Then, with the use of a scanner and printer, he creates a miniaturized, transferrable version of the design on acetate. After transferring the image onto the gun’s metal surface through a burnishing process, he can then see clearly through the microscope where he has to cut. Each of his engraved Cabot pistols took hundreds of hours to engrave. If he made even a single mistake along the way, the work would have been ruined. The gold inlays seen in the guns was crafted through a painstaking process. He first carves a thin cavity into the areas that will have the inlay. He then takes a chisel and cuts a dovetail around the inside edge of the cavity and proceeds to chisel a cross-hatched pattern in the bottom. This securely traps the gold in the recess. Rows of gold wire are hammered into the space with a brass punch. The hammering forge welds the gold into a homogenous shape. It is then sanded flush or sculpted as desired. Otto’s work is a unique fusion of the painter’s art with the intense, laborious process of metal engraving. We are so excited to have had the chance to work with Otto and provide a showcase for his immense talents. See Otto’s work on Cabot one-of-a-kind pistols, Pandemonium, The Legend of Sacromonte and Sixth Commandment. Jason Morrissey is an artist who crafts the most breathtaking pattern welded Damascus steel, glass and other media. As an accomplished metalsmith Jason crafts unique raw material that we transform into grips and slides. 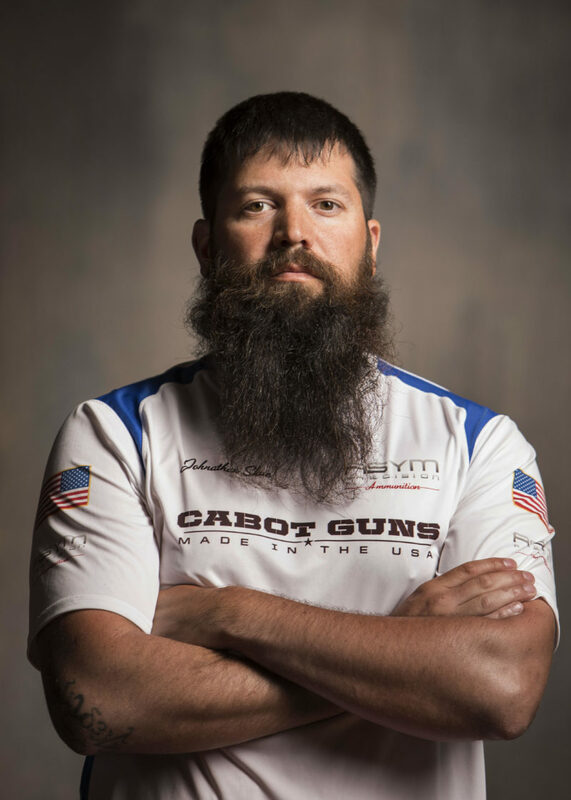 When we first met Jason, we knew he was a kindred spirit for Cabot Guns. Like our team, he’s committed to excellence and outstanding creativity in his art. Also, like us, he honors the traditions of his field. In fact, one of the first things that strikes you when you talk to Jason is the homage he pays to his teachers and the ancient lineage of his craft. Before he tells you about his work, he will tell you that he studied under the bladesmiths Don Fogg, Rick Dunkerley, Jim Crowell and Steve Schwarzer and metalsmiths Tim Mcreight , Peter Ross and Steven Yusko. He’s humble, though it’s worth pointing out that Jason has earned numerous awards and published extensively about his work. He’s highly sought after as an instructor in metalsmithing and glass blowing. 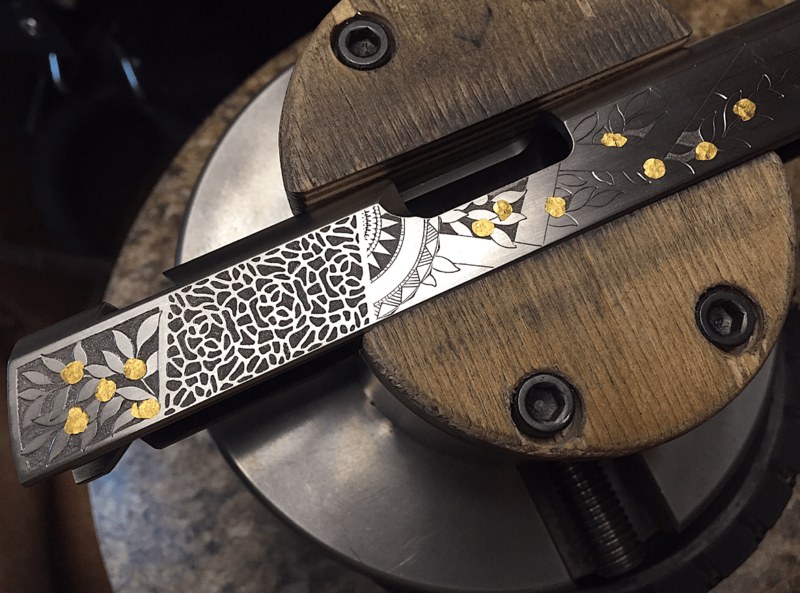 In our opinion, Jason is the greatest artisan in the world in the field of creating unique breathtaking patterns in Damascus steel. Jason was born and raised in Vermont, earning a BFA in Metalsmithing and Jewelry from Maine College of art in 1998. He now lives on the coast of Maine in an environment he finds very suitable to his temperament and pursuit of unique artistic creations. His work has been published in 20 international books in the decade that followed. His work has one continuous defining quality: they’re all absolutely stunning. His hammers feature the same type of damascus designs as we employ in Cabot pistols. His highly unusual collection of knives are comparably dazzling. He explains that studying and applying glass techniques has allowed him to visualize what’s going on inside the pieces of steel. His patterns are inspired by fossils, marine life, ancient writings and texts and otherworldly things. Jason enjoyed the challenging of trying to place mosaic patterns strategically on the grips after they went through machining. “There were a lot of man hours grinding, cutting, fitting to make and achieve the crispness of these patterns.” He is grateful for the help he received from his shop mates at the Evergreen shop. Damascus steel was used for sword blades in the Near East dating back as far as the 3rd century. The origins are thought to be in India. A Damascus blade has distinctive patterns of banding and mottling which can look like a fluid design on the surface of the metal. 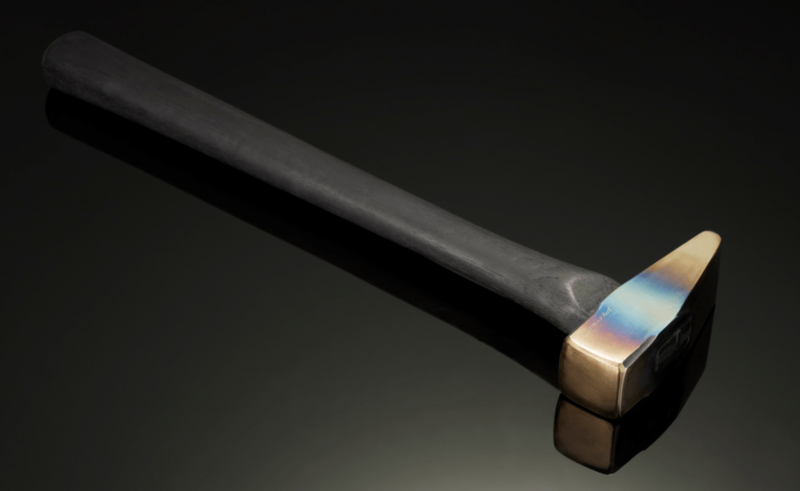 Named after Damascus, the capital city of Syria, Damascus swords were considered tough and shatter-resistant. Damascus steel is the stuff of legends, with ancient swords able to cut through a falling human hair or even a rifle barrel. Though modern steel alloys are stronger, Damascus blades were truly extraordinarily durable in their era. The original method of producing damascus steel is not known. Today, the damascus technique involves welding together many thin layers of metal, usually from two or three distinct types of steel. The stack of metal strips is formed into a billet, or white-hot block of steel. The metalsmith then hammers the billet until it is flat and smooth. After polishing, the steel piece looks like any other flat, shiny piece of metal. However, under the surface lays a pattern caused by the layering of metals. Using an acid etching process, the metalsmith can reveal the underlying pattern. The etching technique is up to the artisan. There are an infinite number of possibilities. This is where Morrissey’s training and talent comes through. In his work for Cabot Guns, Morrissey adapted techniques he learned in cane glass blowing and Millefiori to create beautiful patterns on the grips and slides of our 1911 gun. We like to work with artists who can bring a combination of talent, vision and craftsmanship to the creation of an exceptional collector’s firearm. We were fortunate to partner with Brian Engel, a noted glass artist, on our Crystal Gun, which features grips made from handcrafted lead crystal and a glass Tristar trigger. When you see hand the-cut diamonds and other fine details of the Crystal Gun, you realize you are in the presence of superior artistry. Brian grew up in southwest New Mexico, in what he calls “the back country.” His early life was full of outdoor activities like camping, fishing, hunting and horseback riding. This start gave him a lifelong appreciation of the outdoors and the beauty of nature—a theme he explores continually in his creative work. Becoming a glass artist was not what Brian had in mind as a young man, however. After serving four years as a shipboard firefighter in the US Navy, Brian went to school to study forestry in New Mexico. This was his dream. He was interested in fire science. After multiple injures while working for the forest service he was advised to avoid further damage to his body. Brian realized he needed to change careers.Using GI Bill benefits, he enrolled in art school, earning a BFA in glass from Southern Illinois University. One of his mentors there was Jiyong Lee, an artist and professor known for “Segmentation Series,” glassworks that emulate cellular division in life sciences. Brian credits Lee with teaching him the challenging techniques of cold glass work. You can see Lee’s influence in Brian’s work, as exemplified by the “Green Cylinder Segmentation” shown in the figure. nspired by his early adventures, Brian’s glass work frequently depicts abstracted landscapes that feature thick blown glass forms that are subsequently cut and polished. He makes use of shape, texture and light to highlight the unique optical qualities of the material. Many of his works are based on places he has been in the wilderness. His 2016 piece, “Rustler Tank,” shown in Figure 2, is an example of this creative process. Figure 3 offers a closeup of the piece’s detailed workmanship. The Rustler Creak piece showcases Engel’s ability to combine a variety of glass art techniques in a single work. 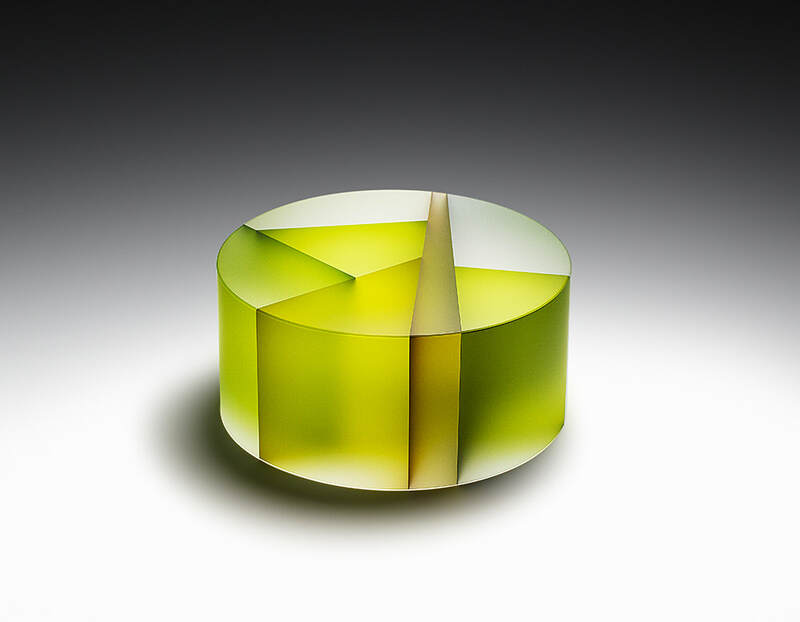 The overall shape of the piece is the result of glass blowing. However, the surfaces and nuance are created by extensive cold work—grinding and polishing.Brian’s ability to turn images from his imagination into three dimensions is also on display with his “Coney Mine Shaft” in Figure 4. Here, Brian uses copper inlay in the glass to suggest the hidden, mysterious elements of the landscape. As with many of his pieces, he uses the art of glass to express emotional reaction to places he has visited during his life. One thing that’s difficult to appreciate is just how challenging working in glass can befor an artist. As Brian explained in describing his work on the Crystal Gun grips, glass is an extremely unforgiving material. Unlike wood or metal, which bend,glass will only break if you press too hard in the wrong direction. With the pistol grips, for example, after dozens of hours, Brian had to grind the surface extensively. He worried about them cracking. Brian’s expertise in cold glass work helps him get the results he’s after without too much risk of breaking his creation in the process. Cold work involves cutting, grinding and polishing glass. It requires the use of elaborate but subtle tooling. For instance, with the pistol grips, he cut a block of optical grade glass using a water-fed saw with a specially-designed diamond blade. He then ground the thin slices with a Czech glass lathe equipped with brass carving wheels with embedded diamonds. Brian’s work is featured on Cabot’s one-of-a-kind Crystal Gun, the first firearms which incorporates glass art into a fully functional pistol. As the Cabot design team was imagining their 1911 pistols, they wanted the guns to reflect the company’s foundational beliefs: a strong belief in family, God and country, and the philosophy that you should never stop striving to become better at what you do. That’s when Cabot turned to Tom Pierce an architect and fellow committee member at The Light of Life Rescue Mission, a Christ-centered ministry providing food, shelter and life-saving programs for the poor, homeless and addicted. “There is precision in the ornamentation that derives from company’s strength, moral conviction, and simplicity. In the gun’s beautifully designed skin, there is also a story of this amazing company that stands behind it,” said Tom. Tom Pierce’s story and architecture is the perfect complement to this unique design element. 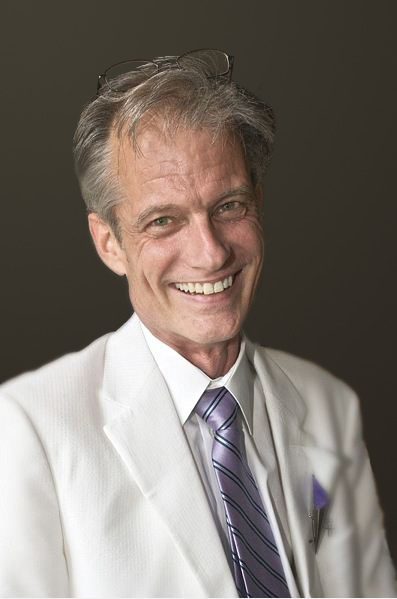 With more than 33 years practicing architecture, Tom has designed office buildings, residential lofts, senior care facilities, places of worship, and private homes. But Tom’s career, like many of us, was not a straight path to success but instead a journey with peaks and valleys. “My work, my design, at times is a mystery to me. Each project is an opportunity for me to evolve and grow. By creating light and clarity in architecture, I also bring it to my life,” said Tom. The Trinity Checkering can be found at the front and rear slide of the Jones 1911. Its elegant design creates a unique and dynamic look to Cabot’s take on the classic 1911 sidearm. Role with Cabot: Designed the Trinity Checkering on the Jones, S100 and S103 model 1911s. Look up “straight shooter” in the dictionary and you’ll likely find a photo of Brian “Gunny” Zins. Not only because he’s won the NRA Pistol Championship a record-breaking 10 times, but also because he speaks openly, from the heart, and always with a smile on his face. With a distinguished 20-year Marine Corp. career and more than 30 national records, Gunny could very well rest on his laurels. In fact, after retirement from the Marines he did just that taking a “desk job” with the NRA but it didn’t last very long. “I got very antsy sitting behind a desk. It was tough,” said Gunny. This from a man who then took a contract guarding American cargo vessels from Somali pirates. “I’m very competitive. It’s an overwhelming urge. Maybe it’s being a Marine. No matter what your job is. No matter what you do. You want to be the best you can be at it,” said Gunny Zins. When you speak with Gunny, close ties and relationships are a common theme. From training incoming Marine recruits to his NRA national championship competitors (he refers to the competition as a big family reunion), he speaks fondly friends, students, and competitors alike. 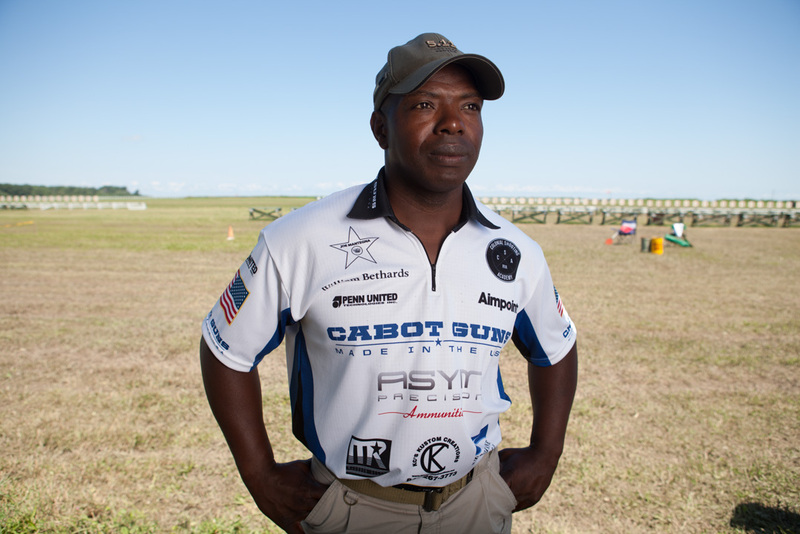 It was no surprise then that for Gunny joining the Cabot team as spokesman and ambassador was a decision that went beyond the quality of the guns, “It’s not just the guns. It was the company as a whole. Very welcoming, very warm,” stated Gunny. As spokesman and ambassador, Gunny Zins will demonstrate the precision of the Cabot 1911 pistol series and also work closely with Cabot to provide exclusive training and other services to the owners of Cabot 1911s. Gunny Zins will be representing Cabot Guns at several upcoming guns shows as well as providing training during an owners’ weekend currently planned for September 2012. Our discerning clientele has been an excellent resource. We first heard about Dan from a Cabot owner who like many of our customers only wants the best money can buy. Always looking for the finest American talent we reached out to Dan when Cabot President Rob Bianchin was designing the National Standard Deluxe and was seeking an artisan grip maker who could craft mammoth ivory grips for Cabot. Dan’s specialty & experience started in Knife making and design where he developed a reputation of crafting some of the finest knives on the market. That same passion is now applied to crafting 1911 Ivory Grips. It started with several NRA members, who collected his knives, asking Dan to build them 1911 grips out of the ivory used in his prized knives. In order to make a truly high quality set of ivory grips Dan become a shooter to better understand the ergonomics required by shooters and tested his grips by working with sophisticated 1911 owners such as: military, first responders, cowboy western shooters, U.S. Olympic team members and other classifications of 1911 owners. Today, Dan is a full time ivory grip maker and part time knife maker. Dan, a perfectionist, only make grips that are cut properly, have good book matched color and appearance, be of the proper thickness, have the desired comfort and feel, and be structurally sound so they can be used in everyday activities and situations. Options such as thumb grooves and carry melts help the user experience further, but grips can also be modified for such things as: small and large hands, arthritic hands, extended slide releases, and lowered safety levers just to name a few. All of it done to improve the relationship between the grips and the shooters hand. Dan T. Chinnock, Ivory 1911 Grip Maker. 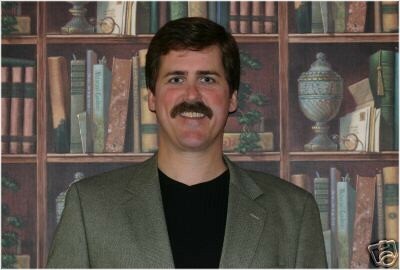 Follow and learn more about Dan at www.danchinnock.com.